In a past post I said I was working on a winter scarf, well here it is!! I must say it came out better than I thought it would. Hmm, I believe I used size 10 and a 1/2 needles. 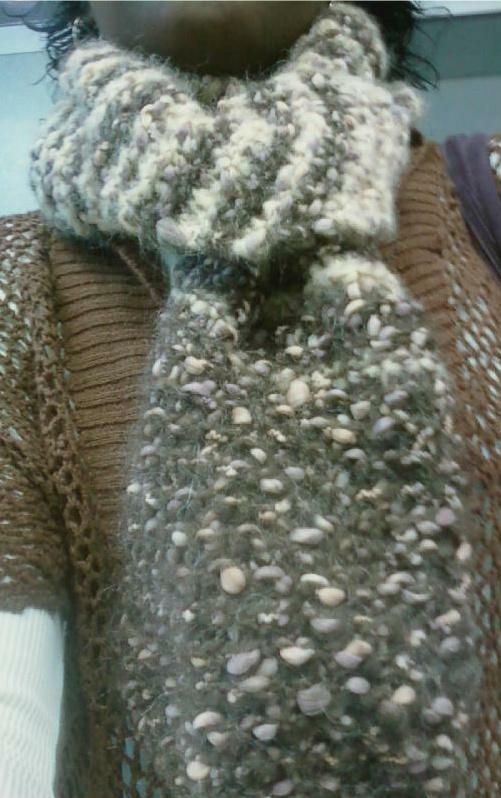 I don't remember the exact amount of stitches or cast on's for this scarf. For both ends of the scarf, I just added stitches and then dropped stitches. I didn't get the instructions from a book or website, so sorry if you had an interest in making one yourself. I think I might end up selling some products soon...as long as it's what God wants me to do.